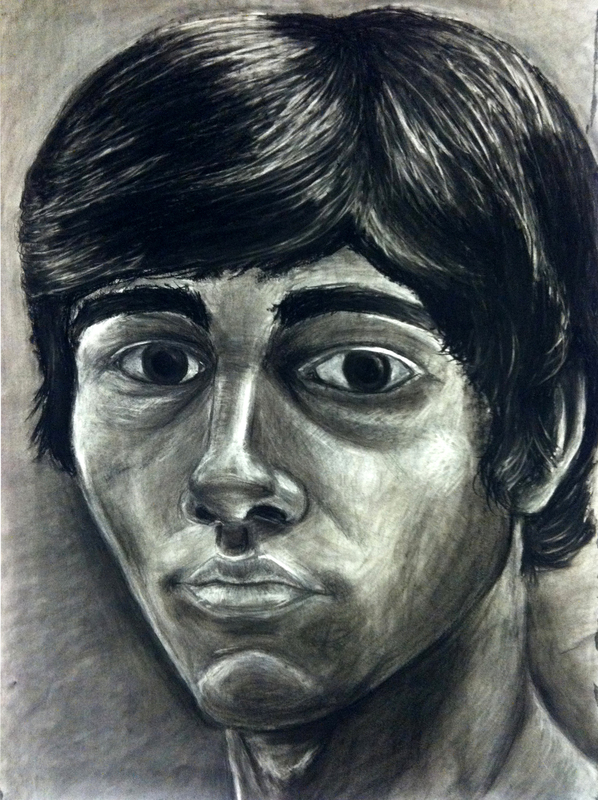 This was my final project for Drawing I, a class I took my first semester at Penn (Fall 2011). It was very time consuming (~20 hrs) yet so much fun. We first began by attaching think charcoal sticks at the end of long wooden sticks and started drawing the general shape of the head. Working farther away from the drawing allowed us to focus on the general and stay away from little descriptive details. Then, once we felt like the head was blocked in, we started going in with smaller pieces to put in the finer details. I enjoyed the whole process, because I had never worked on a drawing of this scale before and it was very challenging yet satisfying.